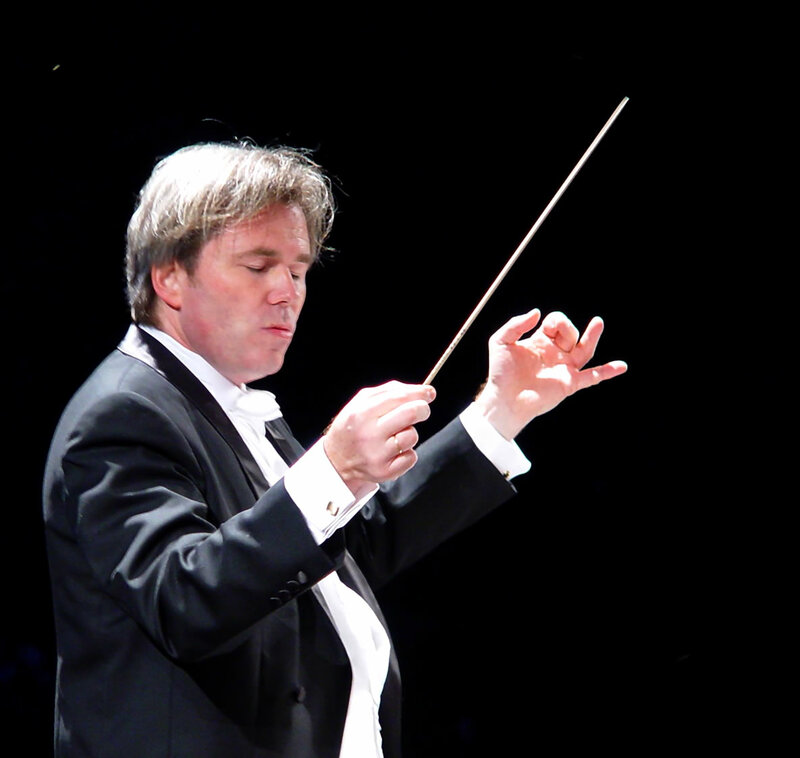 Conductor Lavard Skou Larsen’s passionate music-making inspires audiences of all ages. Currently serving as Music Director of both, the Deutsche Kammerakademie Neuss by Duesseldorf and the Georgische Kammerorchester in Ingoldstadt, Germany, the impact of his musical leadership was felt after the first concerts and continues with his imaginative programs and record audience attendance in the history of the orchestra. 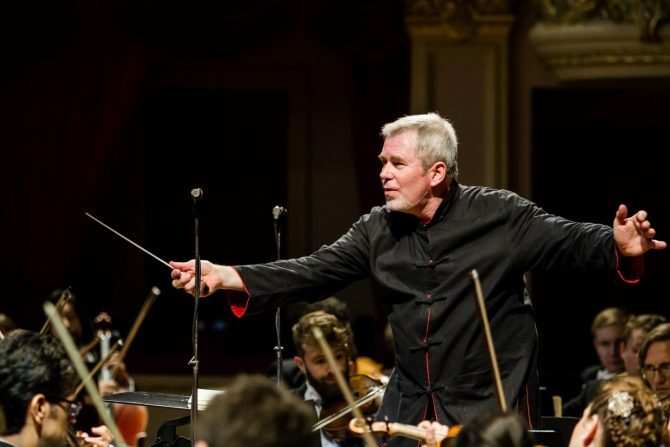 His commitment to these posts accounts for the major portion of his agenda, while increasingly in demand as guest conductor in Brazil, Germany, Austria, Switzerland, Russia, France and in the USA. 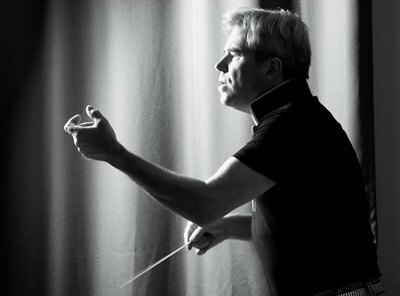 He has conducted symphony and chamber orchestras with equal success, such as the Mozarteum Salzburg, the Dresden Philharmonie, Dusseldorf Symphony, Rheinische Philharmonie, Orchestre National de Lorraine, Orchestre des Pays de Savoie, Orchestre de Chambre de Genève, Berne Symphony Orchestra, Orquestra Sinfonica Brasileira de Rio de Janeiro, Orquestra Sinfonica de Porte Alegre, Orquestra National do Porto, Orquestra Ciudad de Almeria, Mikkeli City Orchestra, Erasmus Chamber Orchestra, European Union Chamber Orchestra, Armenia Philharmonic Orchestra, and the Texas Music Festival for young professionals. Now in his 22h season, Lavard Skou Larsen, founder and leader of the Salzburg Chamber Soloists continues to tour in Europe and in the USA. In the spring of 2013 they were invited to the world’s prestigious New York Metropolitan Museum to perform Haydn’s Seven Last Words, which received a rave review from the top critic, Anthony Tomassini, of the New York Times. His DVD release of Beethoven’s Coriolan Overture, recorded live from Zug, Switzerland, and the recent CD releases of the Organ Concerti by Handel with the Kammerakademie Neuss, the Shostakovich piano concerti and the Hamlet Suite received highest critical acclaim. The world premiere recording of H. Kaminski’s works for orchestra was released by CPO in 2013. The upcoming recording projects for the same label will be Volume 2 and 3 of the complete Organ Concerti by G.F. Haendel, the last symphonies by Michael Haydn with the Deutsche Kammerakademie and with the Salzburg Chamber Soloists the works for orchestra by J. Bruegge. His relationship with the CPO Label gives him the rare freedom to record with any orchestra and repertoire of his choice. Lavard Skou Larsen was born 1962 in Porto Alegre, Brazil to a Danish conductor and Brazilian violist. He began violin lessons at age four with his father and already by fourteen he was admitted to the Salzburg Mozarteum to study with Helmut Zehetmair. He received his performance diploma with distinction and completed his postgraduate diploma under Sandor Vegh. He won the prizes “Concertino Prague” and the “Sergio Lorenzi”, both as soloist and chamber musician. At age twenty he was a member of the Camerata Academia under Sandor Vegh. Equally successful as a violin soloist, Lavard Skou Larsen performed at Vienna’s Konzerthaus, Salzburg’s Mozarteum’ s large concert hall, Beethoven Halle, Bonn, Concertgebouw, Amsterdam, Teatro Colon, Buenos Aires, and on major stages in Paris, Cologne, Frankfurt, Geneva, Switzerland, and Birmingham to name a few. His debut CD was released in 1991 with the Mozart Serenades for Naxos, followed by a Denon Release in 1994 of the Sinfonia Concertante by Mozart, partnering with violinist Boris Belkin and the world premiere recording of the complete violin sonatas by Brazilian composer Camargo M. Guarnieris with pianist Alexander Muellenbach.Lavard Skou Larsen’s dual Nationality and the influence of his education background in Salzburg’s musical tradition, has molded his commitment and passion to music-making for an international diverse audience. His understanding and the talent to effortlessly work with large symphony orchestras is directly influenced from his profound knowledge and experience as a chamber musician.